2 Bedroom Flat For Sale in Tonbridge for Guide Price £300,000. GUIDE PRICE 300,000 - 325,000. Freeman Forman are delighted to present to the market this beautiful contemporary two bedroom apartment situated within Azure Court in the very desirable waterside reach development by Redrow Homes. 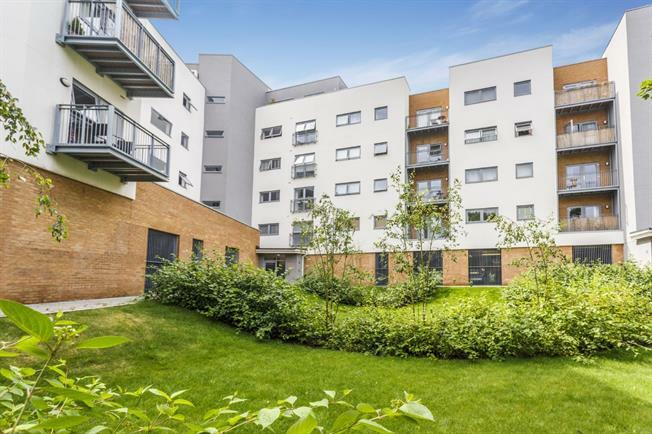 The flat has a luxury finish throughout with the accommodation comprising of a modern fitted kitchen with open plan living space, two double bedrooms one being the master with en-suite shower room, family bathroom and a smart decked balcony. The apartment is less than a five minute walk to the station for those city commuters and has a wealth of cafes and local amenities on it's doorstep. The property has the added benefit of a long lease and underground parking space. This flat must be viewed to fully appreciate!